To accomodate New Zealand players and the NZD La Isla Casino have teamed up with Casino.com, Royal Vegas and Winner. These casinos have fantastic online gaming events and tournaments that are open to NZ players. 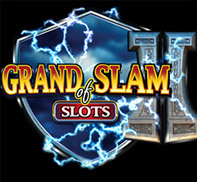 Grand Slam Of Slots 2 The Grand Slam of Slots is back at Spin Palace casino and you can be in with the chance to win the first prize of $100,000, qualifying now for the final which starts on 24th May. Join at Spin Palace casino and go to the tournaments section in the casino lobby. here you will find tournaments that will allow you yo win entry to the grand finals. CASINO.com Marvel Adventure The new Marvel superhero Avengers movie will be with us very soon and at Casino.com you can win a holiday to Super Hero Island at Universal Studios in Florida. Get a prize draw ticket for every deposit and spin on the Marvel slots range.Play Iron Man, Hulk and Avengers to WIN.